We showed you how salads didn’t have to just be for summer with our Autumn Roasted Vegetable Salad the other day and now we are doing the same with a smoothie. This Autumn Spiced Smoothie is the perfect seasonal way to start your day. 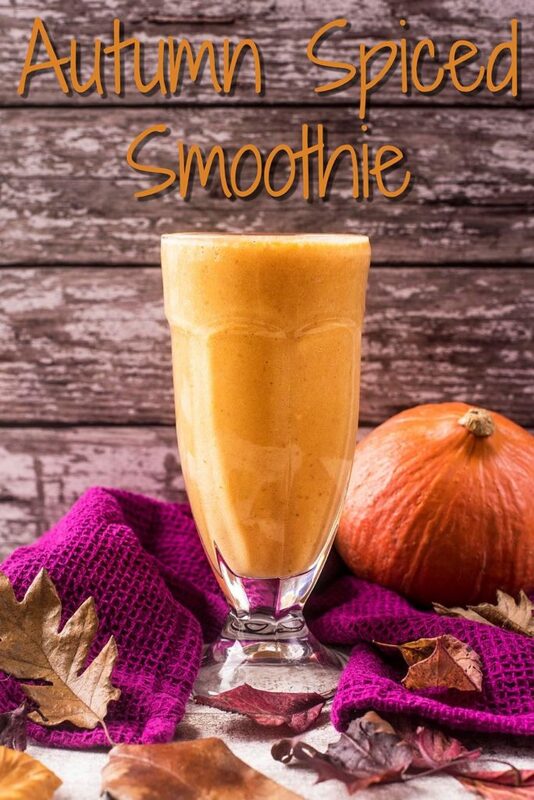 Do you want to be kept up to date on more delicious and healthy recipes like this Autumn Spiced Smoothie? Please subscribe to the blog mailing list (it takes 30 seconds). You will get sent the new recipes straight to your inbox. Your email address won’t be passed on to anyone and you will never be spammed. I feel like such a blogger cliché with the pumpkin recipes are the moment, but we could all do with some more pumpkin recipes in our life, right? 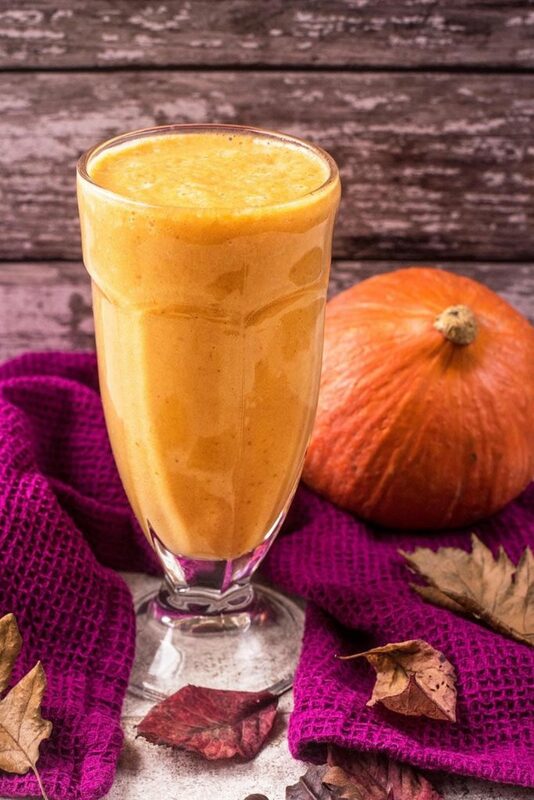 Whilst we love buying fresh pumpkins, this is made with the canned variety to make it a really quick and easy smoothie. 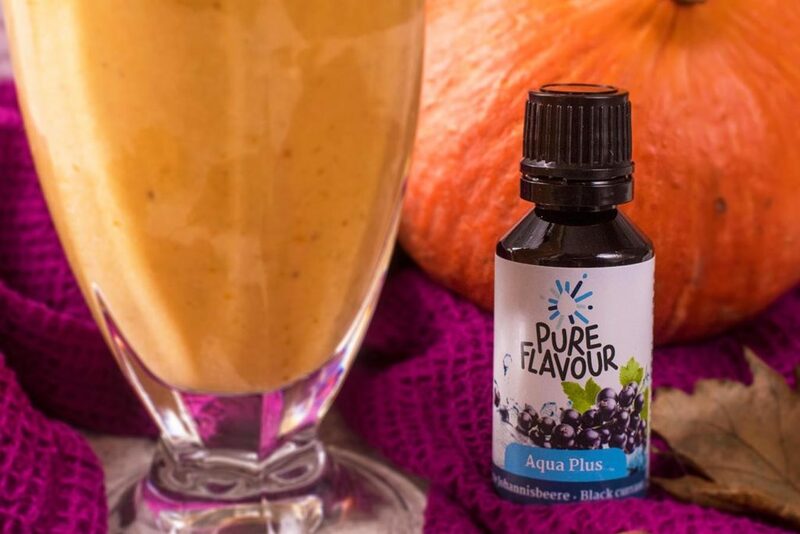 We used banana in this smoothie too, for texture and sweetness, but the majority of the sweetness comes from the squirt of Pure Flavour’s Aqua Plus, and it has the added bonus of giving it a hint of blackcurrant too. We have been experimenting with with different ways to use Aqua Plus every day and not only is it great in smoothies, but you can use it to flavour cakes too. Bonus! It’s not all about flavouring cakes and boosting smoothies though, Aqua Plus is a great way to get you to increase your water intake, as you just need to add a squirt to some water and you have instant flavoured water. Aqua Plus use only natural, high-quality ingredients in order to create delicious flavour for water. Flavour agents derived from ten different popular fruits enable a rich and authentic taste. As a sweetener, they use steviol glycosydes made from the leaves and stems of Stevia plants. We have been really slacking with our water intake lately, and this has totally turned that around. With the variety of flavours available, we never get bored. One 30ml bottle contains enough to flavours at least 10 litres of water, depending on the desired intensity. It couldn’t be easier to use: Simply add 8 to 12 drops into a big glass of water and immediately enjoy great taste. Aqua Plus provides an alternative to both sugary and artificial sugar-free syrups and soft drinks. It merely contains natural fruit flavours combined with calorie-free sweetness. Don’t just include these in your morning routine. I reckon they would be a great addition to a Halloween party too. Put them in to shot glasses with some whipped cream on top and then decorate scary faces on to the cream with some raspberry sauce dropping down. Spooky mini smoothies! Oh, and don’t worry – this isn’t going to be our last smoothie of the year! We have a very festive smoothie in December that will make you go “ho-ho-ho” all the way to Christmas Day. Too soon to mention Christmas? Sorry (not sorry)! 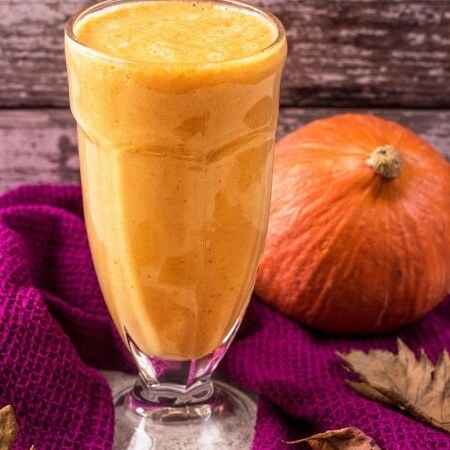 Until then, enjoy this Autumn Spiced Smoothie, or any of the other smoothies from HHH. 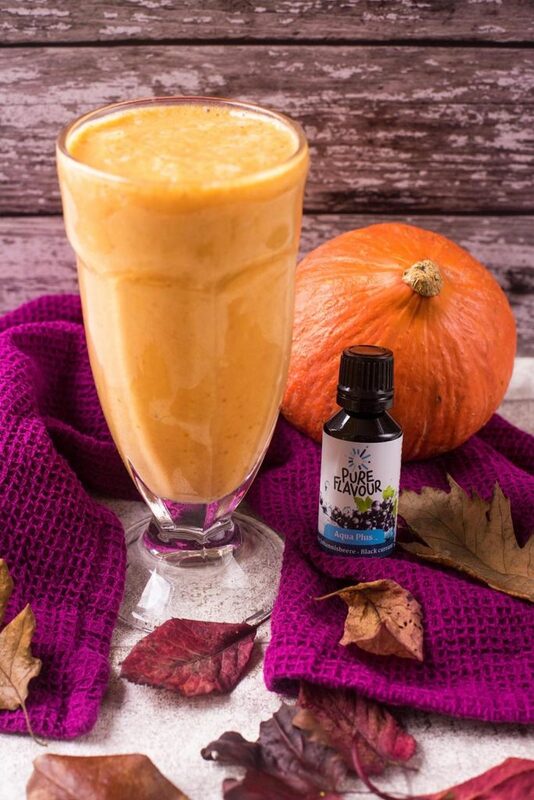 Drink a glass of this Autumn Spiced Smoothie whilst you watch the autumn leaves falling outside your window.